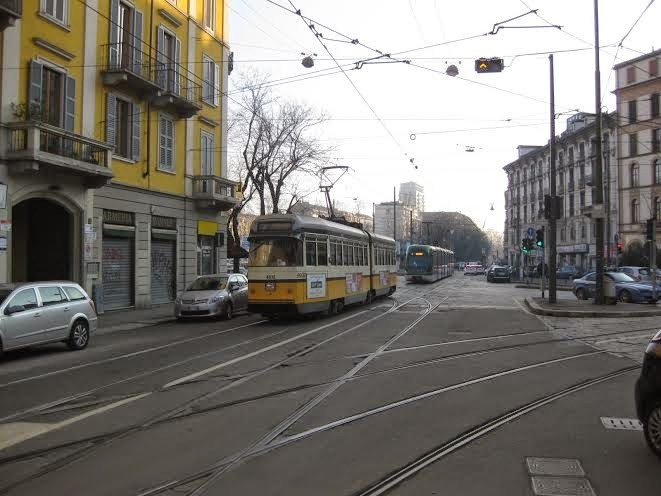 Roger Davies has visited Milan and has sent us this report and pictures. 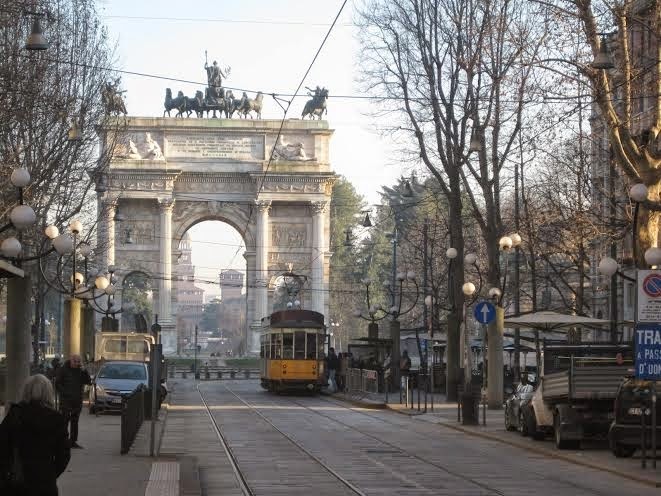 "We spent a few days in Milan, didn't venture out of the city centre so we didn't see the trolleybuses. 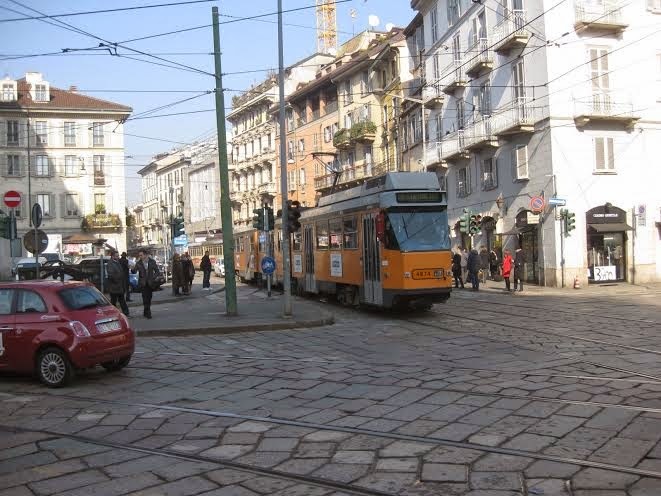 But the centre has a complex network of frequent tram lines often, in the older parts of the city, in very narrow streets. 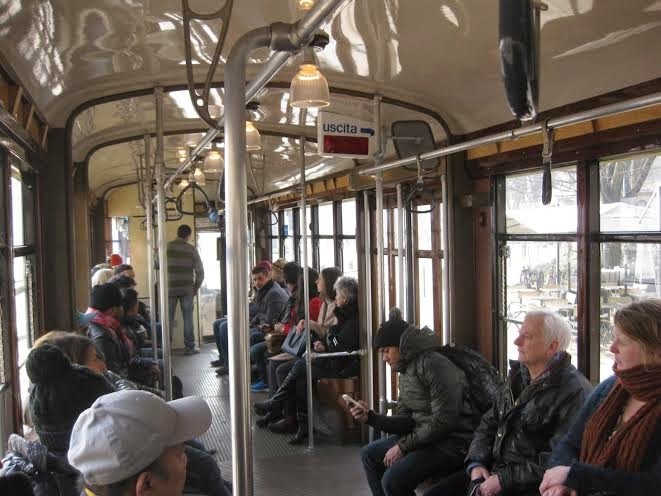 The most common type of tram, surprisingly, is the Peter Witt type dating from 1928 to 1930 around 100 of the original 502 surviving and in full all day use. There are around 30 artic cars dating from the mid 1950s and both these types have reverted to the yellow and white livery used until 1930. The once ubiquitous orange livery can be found on the 100 1970s double artic trams although at least one of these has been refurbished into a more striking yellow based livery. All these cars have no low floor nor disabled accessibility. Short low floor Sirios known as Sirettos carry the yellow and white livery whilst later Eurotrams and seven section Sirios carry the green livery used from 1930 until 1970. 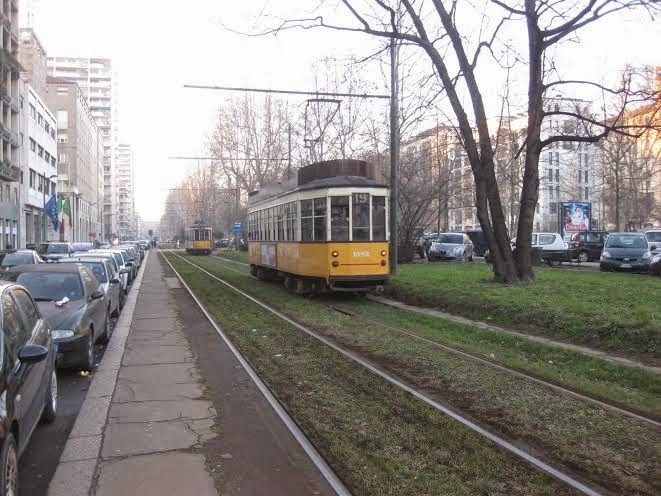 Quite why the latter huge trams are required isn't clear as there is a large amount of on street running. They are used on line 4 which terminates by running around the operator, ATM's head office, so perhaps that is it. 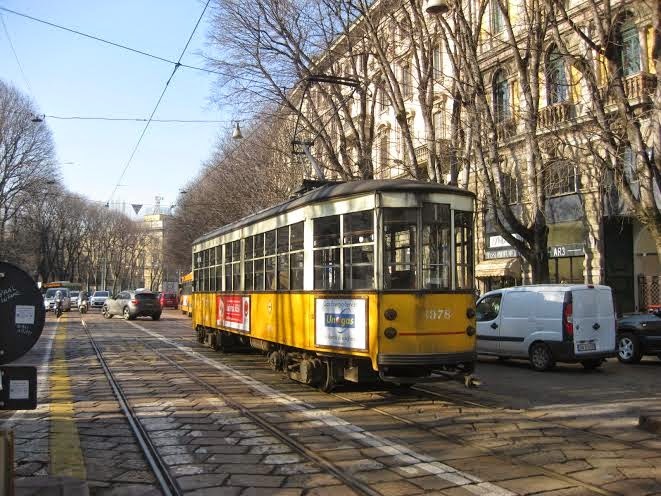 All trams are single ended using turning loops. 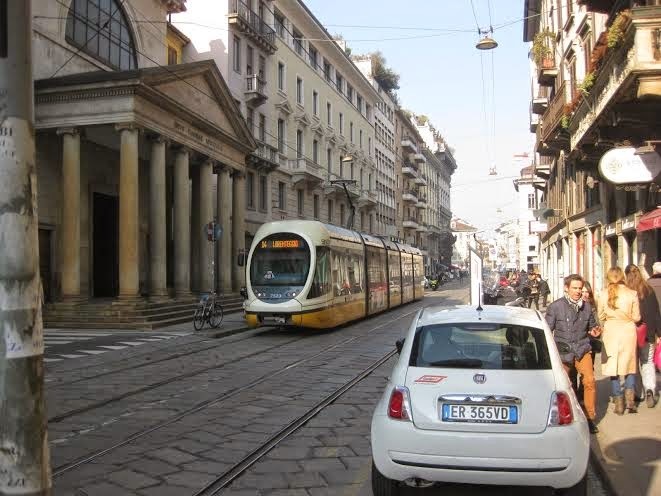 A very reasonable Euro 4.50 ticket allows 24 hours of travel from first validation on buses, trams and the Metro." 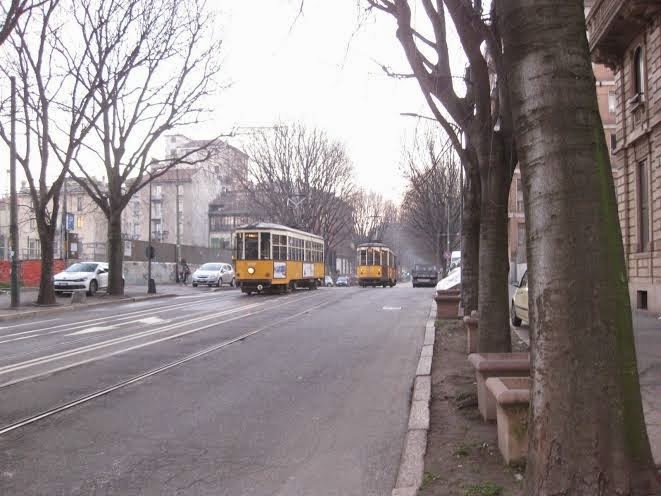 A 1970s car in narrow streets.